The introduction of the National Security Legislation Amendment (Espionage and Foreign Interference) Bill 2017 signposts the lowest point in the Australia-China bilateral relationship in recent history. At the centre of the breakdown is not the legislation alone. Despite warnings in 2015 from ASIO, both major political parties continued to accept donations from individuals alleged to be foreign agents of the People’s Republic of China (PRC). This in turn has been one of the factors giving rise to sensational commentary that has aggravated the PRC. As our political parties have borne some responsibility in potentially damaging our relationship, we must consider what role they have in rebuilding mutual trust. This is especially important to consider at a time when Australian government ministers are unable to meet with their counterparts in the PRC. The long-standing challenge in dealing with the PRC is that the framework for Australian diplomacy does not correspond to the PRC’s power structure. Australian ministers and diplomats do not automatically gain access to the true decision makers in the PRC – in other words, the senior officials of the Communist Party of China (CPC). The blurred lines of the separation between Party and state in the PRC has been described as a policy “black box”. While there is a formal separation of state institutions from the Party, the Chinese state can be seen as the instrument through which the CPC both exercises its power but also hides behind. Therefore, as the CPC has long practiced party to party relations, establishing party-to-party relations between Australia and the PRC could be seen as a sign of good faith, and perhaps a method through which the two countries can break the current impasse. Because of the CPC’s essential role in the PRC’s diplomacy and its preeminent role in the PRC, Australia should have a dialogue directly with the party. 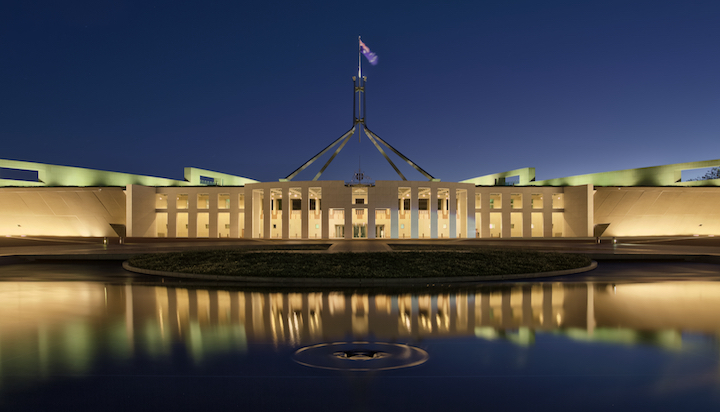 Both Australia’s major political parties can assist this objective by appointing representatives over a number of years to meet annually with the CPCs International Liaison Department. the party body responsible for meeting foreign parties, on the basis of “independence, complete equality, mutual respect and non-interference in each other’s internal affairs”. While parties do occasionally send delegations to the PRC under the Australian Political Exchange Council; this representation would be done on an ongoing basis with the same individuals to develop a greater depth of understanding with the objective of fostering long-term personal political links and PRC literacy in Australia’s political class. The benefit of liaising with the International Department is that it is an agency under the Central Committee of the CPC, as opposed to the Ministry of Foreign Affairs, which is an agency of the State Council. The International Department is influential. It is close to the Politburo Standing Committee and would help political leaders to understand what occupies the mind of the key decision makers. While diplomats are focused on foreign affairs issues, such as the South China Sea which more likely to cause disagreements, party officials have a broader role to address the domestic needs of its people to maintain the rule of the CPC. This could possibly decrease tensions if Australian leaders come to understand all the internal challenges that the PRC faces, not just its growing foreign power. Here Australia can play a role in working with the PRC to meet these challenges such as by providing cleaner energy to improve its environment, developing its aged care as well as establishing standards for safe food and pharmaceuticals. By accepting that Australia and the PRC will always have disagreements, but actively fostering areas of cooperation, the bilateral relationships can deepen and therefore grow. Such an exchange would also help Chinese politicians understand the differences between our systems, namely state supremacy over the party. It would also provide for a private forum to confirm each party’s commitment to not allowing, in the words of the CPC, “non-interference in others’ internal affairs”. Establish an annual Australia-China High-level Political Party dialogue with parties appointing individuals of matching rank to the International Department. This would involve one standing Australian delegation with the leader of the delegation coming from the party of government of the day. Such an initiative would be similar to the Australia-China High-Level Security Dialogue which meets with the Secretary of the CPCs Central Commission for Political and Legal Affairs. Joshua Armstrong works as a Political Advisor and is also studying Mandarin.